Ballet on Kloof is based in the heart of Cape Town in the trendy Kloof street. Our classes happen in two venues on the same premises at the Union Congregational Church on the corner of Eaton and Kloof streets, next to Arnolds Cafe. Did you think ballet was just for children or professionals? Many adults that were not able to take ballet lessons when they were children, believe the opportunity has passed them by. This is not true and can be pursued by anyone at any age. 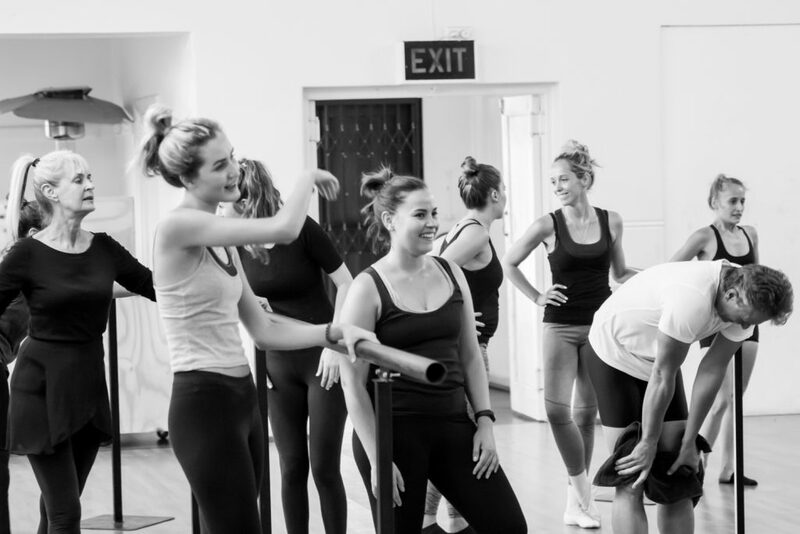 The idea of Ballet on Kloof started with 2 girls working at a ballet shop after graduating from UCT School of Dance wanting to create a space and opportunity for adults from any background to learn classical ballet in a fun and relaxed environment, without the pressure of going into an exam and being competitive. Our doors opened in September 2012. We wanted to create a space to join class as much as your work schedule allows it. So many people never had the chance to dance as a child and think it’s too late to start as an adult. We also have students who danced for many years, but had to stop after school. Most people who danced as a child and stopped will always miss their dancing and can relate to the saying ‘once a dancer, always a dancer’. Ballet on Kloof gives you the opportunity to start at any age and progress to higher levels when you are ready with no pressure and also make you relive your dancing days if you had to stop at a stage in your life. Our aim is to focus on all adults who have the interest in being fit, healthy and who love to dance. We offer levels from Beginners to Intermediate, catering for everyone who would like to do ballet. It is a great full body work-out focused on technique, conditioning, stretching and fitness. We offer open classes, but build on the class over a period of a few weeks to ensure improvement. We also offer body conditioning classes which takes place in an art gallery in Kloof street to compliment your ballet training. Both teachers are Graduates from The University of Cape Town School of Dance and have extensive teaching and performance backgrounds. Our aim is to focus on all adults who have the interest in being fit, healthy and who love to dance. We offer various levels from Beginners to Intermediate, catering for absolutely everyone who would like to do ballet. It is a great full body work-out focused on technique, conditioning, stretching and fitness. We offer open classes, but build on the class over a period of a few weeks to ensure improvement.